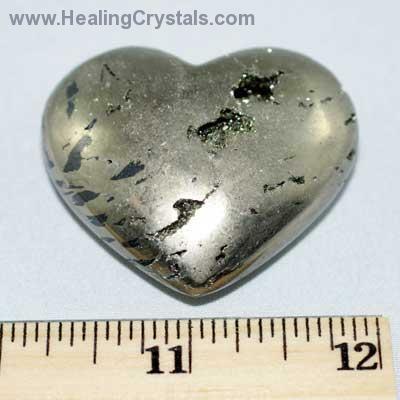 These beautiful "extra" grade pyrite hearts are from Peru. Being a very protective stone, it shields from negative energy of all kinds. Pyrite is helpful for those having trouble with will-power, anxiety, and/or commitment.